Dinner's on Maui Brewing Co.! 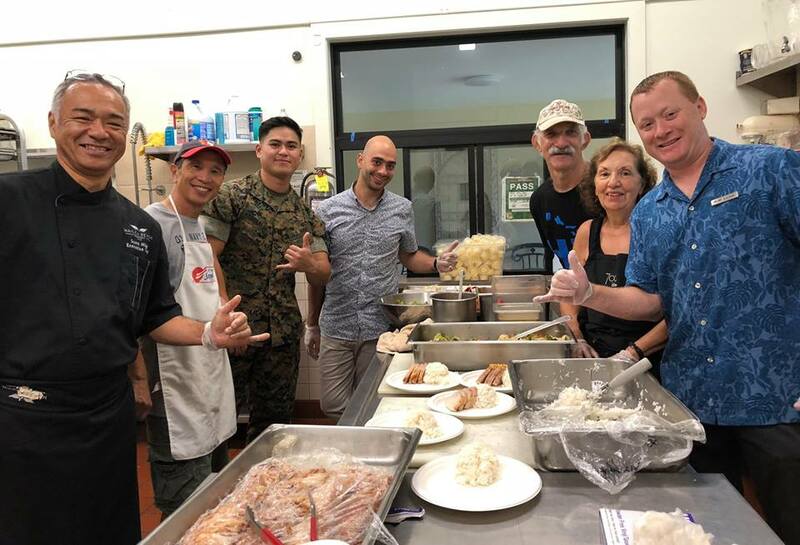 Thank you to the Maui Brewing General Manager and Partner Tony Ren, and his crew for the onolicious dinner they cooked and served up at Hale Kau Kau. Welcome to the Hale Kau Kau 'ohana! well done serving 1.5 million meals during the decades! Cheers! Thanks as well to all the volunteers who put in countless hours to make the event a success. 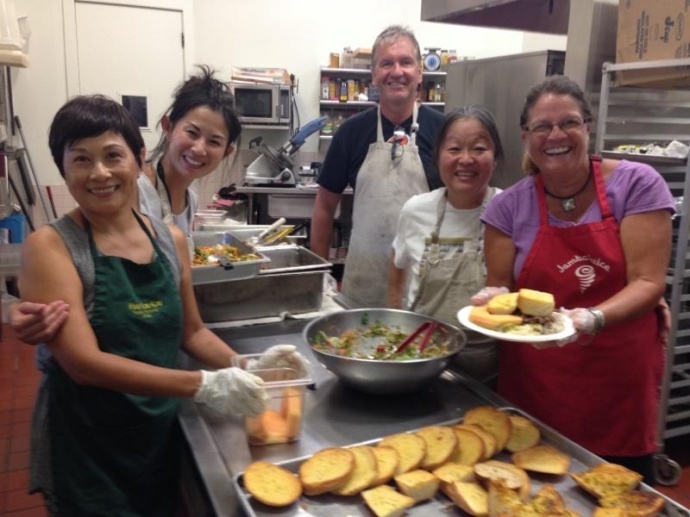 Hale Kau Kau offers a range of services to the South Maui Community intended to "Serve with Compassion and Aloha" we seek to connect with the Home Bound population as well as those in need, without discrimation. 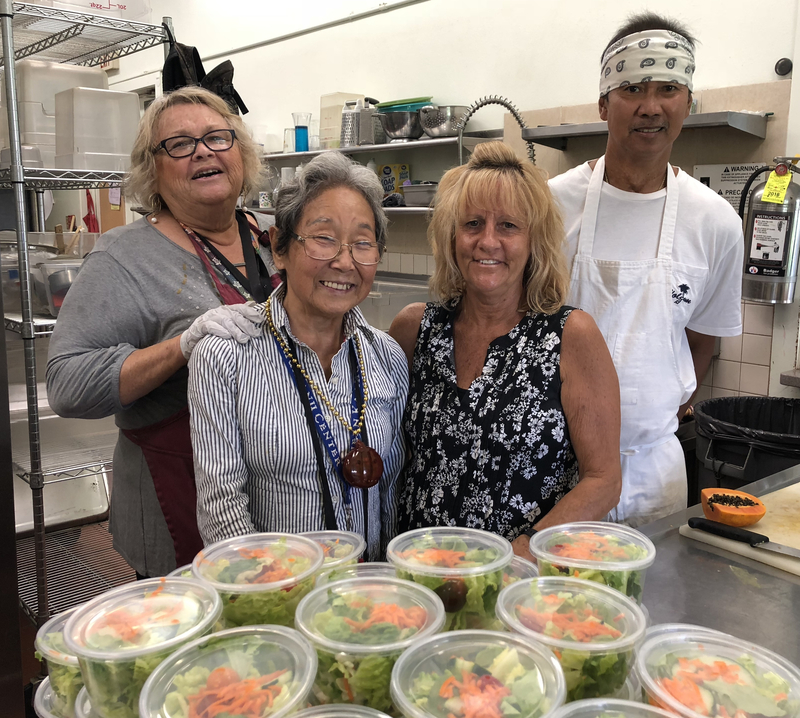 As of 2017 Hale Kau Kau delivers through the assistance of our volunteer drivers a total of more than 90 meals each afternoon to our Home Bound residents of South Maui. The meal consists of a hot entree, salad, vegetable, fruit, dessert, a bread, and an additional starch. Each meal is designed to provide approximately 1500 calories and address general nutritional needs. Are you unable to prepare your own meals or shop for food items? As we age, some activities become more difficult. At times we experience health issues, temporary or chronic which affect our ability to provide for ourselves basic needs surrounding shopping and preparing meals. If this is the case, and you are unsure as to what to do about this problem, or know someone who may be at risk you have several options available to you. Talk to the Maui County Office on Aging to see what options you have available to you. 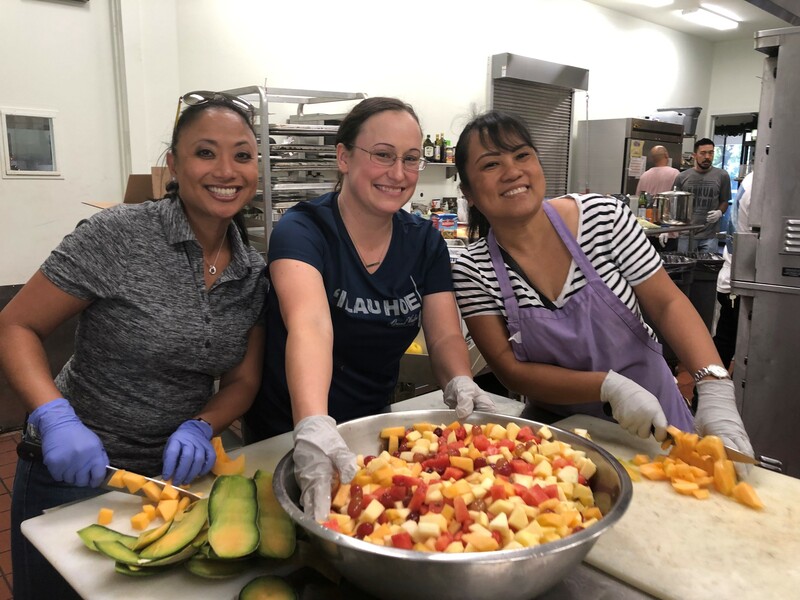 Open a dialogue with your insurance carrier, HMSA, Kaiser, Alohacare, or United Health all partner with Hale Kau Kau to ensure that the needs of our Maui Home Bound are being met. 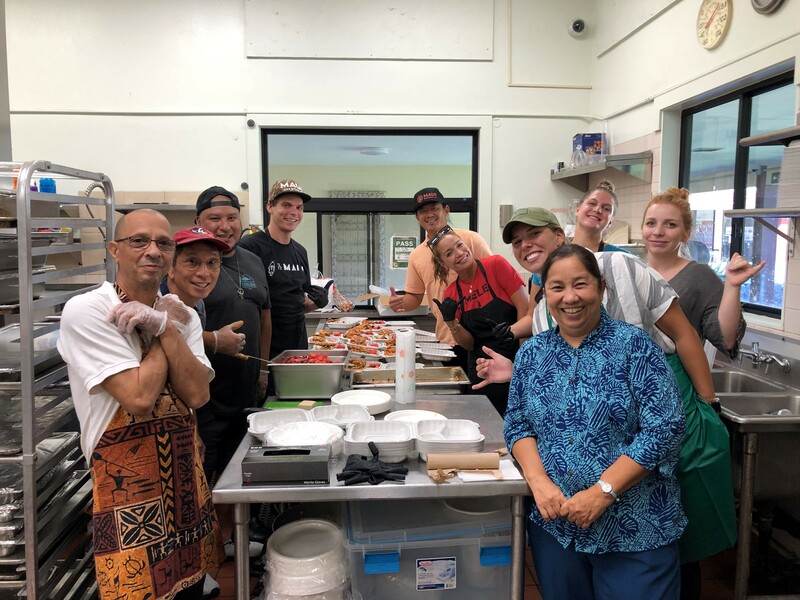 Each day of the week Hale Kau Kau serves a hot meal to the hungry and the needy from our kitchen located at 25 W. Lipoa Street in Kihei. On the property of St. Theresa's church, we welcome as Stewards all those who are in need of a hot, nutritious meal. We offer a wide range of delicious options each day, including an entree, salad, starch, dessert and drink. For the convenience of our diners we have a number of picnic tables available to eat, a sink for washing up, and the good company of all those who join us each day. Every faculty you have, your power of thinking or of moving your limbs from moment to moment, is given you by God. If you devoted every moment of your whole life exclusively to His service, you could not give Him anything that was not in a sense His own already. Mahalo nui loa to Chef Scott Higa and the Wailea Beach Resort, Marriott Maui, for supporting our mission to feed with aloha and compassion. The Marriott has cooked and contributed one dinner per month for the last three months this summer. Scott, his family, and the Marriott staff have all joined us in serving up an onolicious dinner for our home bound clients and the hungry who come to our window for a much-needed meal.